We believe in a world where anyone can support your business. Where access to capital is efficient and streamlined. Where we are your One Stop Funding Shop. No matter your funding stage or amount, we've got you covered. The revolution has begun. Join us. The old way of raising capital is limiting. It is inefficent to reach out to each investor group seperately trying to secure your funding. You end up wasting time and energy chasing few investors which ultimatley takes away from your business growth. This model doesn't maximize your time and effort to grow your business. Raise from Angels, VC's, family and friends, and the crowd in one central location at the same time. Angels and VC's have great networks and experience. The crowd provides brand champions and advocates to help spread the word. 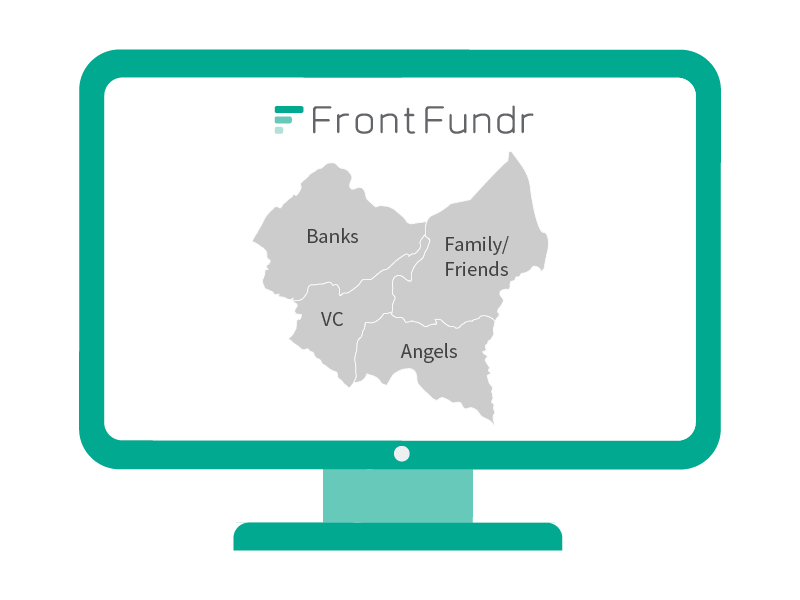 FrontFundr helps you maximize all investor benefits! The people that have invested in us share our passion and dedication to building up this business. They have used our product, seen its evolution, and believe in our ability to grow to make it successful. They’ve been part of our journey.